The permit was issued. See bottom of this page for items accepted at the Caja del Rio Landfill. Visit the webpage to learn more about the Caja del Rio Stormwater Pollution Prevention Plan! 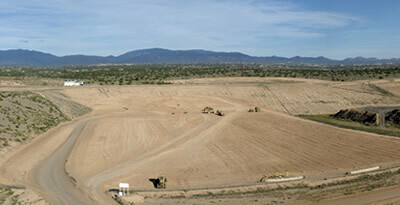 Information about the construction of our new landfill cell is here. Cash, check, or approved commercial accounts only! No credit cards accepted.